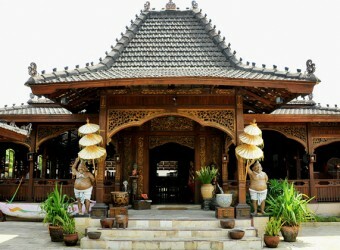 Bali Restaurant Ketupat is an Indonesian restaurant built in Indonesian style with swimming pool. It has total of about 200 seats including table seats and gazebo seats. Nasi kuning (Indonesian yellow rice) and nasi campur (Rice with mixed dishes) are the most popular menu items of this restaurant. I heard that this restaurant offers Balinese ceremony dishes. The cuisine is made and served in Balinese style. And ii has good taste.